Dunnage bags are used to secure the products inside the container, the railway wagon or the truck during long sea and railway shipments in order to prevent rubbing of the pallets with each other, to eliminate the risk of overturning etc. 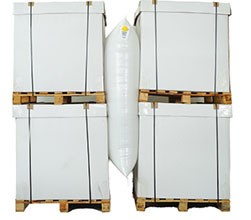 There are two kinds of Dunnage bags: Polypropylene Woven and Kraft. The sizes and dimensions vary according to the weight of the pallets, the dimensions of the container. 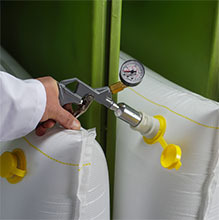 At the same time, they are classified by “levels” referring to the quality (strength) of the Dunnage Bags. 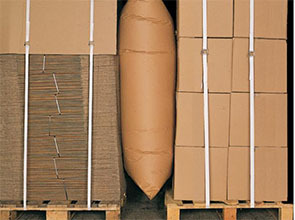 Which dunnage bag is right for you?